Why build when you can buy brand new! 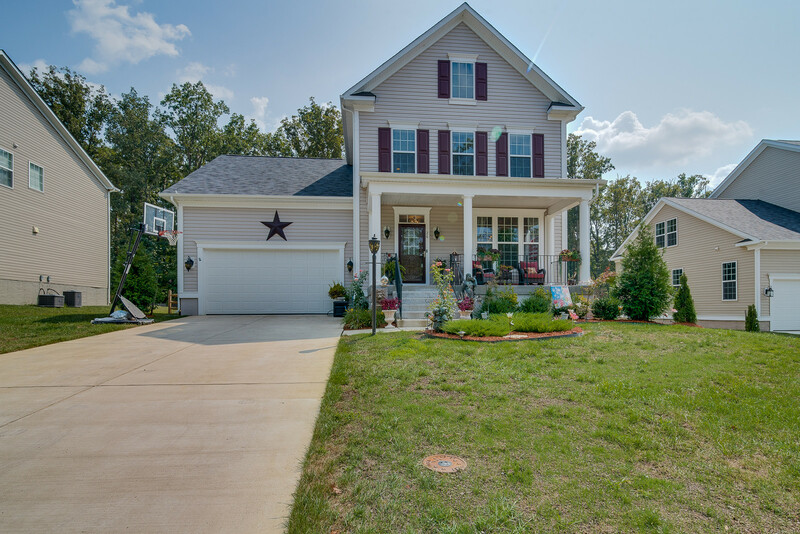 This amazing home has over 3,300 finished square feet and over $50,000 in Seller upgrades! Stunning hardwood floors greet you and stretch throughout most of the main level. The formal dining room has beautiful moldings and a stately chandelier. The gourmet kitchen has a custom backsplash, upscale appliances, cabinet lighting and a large island with a breakfast bar. The family room sits just off the kitchen and offers access to the deck. There is a main level bedroom or private office with an attached bathroom. Upstairs, the master bedroom has a fabulous tray ceiling and attached luxury bathroom! The upstairs has two additional bedrooms and another full bathroom. The basement is fully finished with a media room, rec room, fifth bedroom and a built-in reading nook straight out of Pinterest! Out back the deck overlooks the fully fenced backyard! Contact Amy Cherry Taylor for more information or to schedule a private showing!